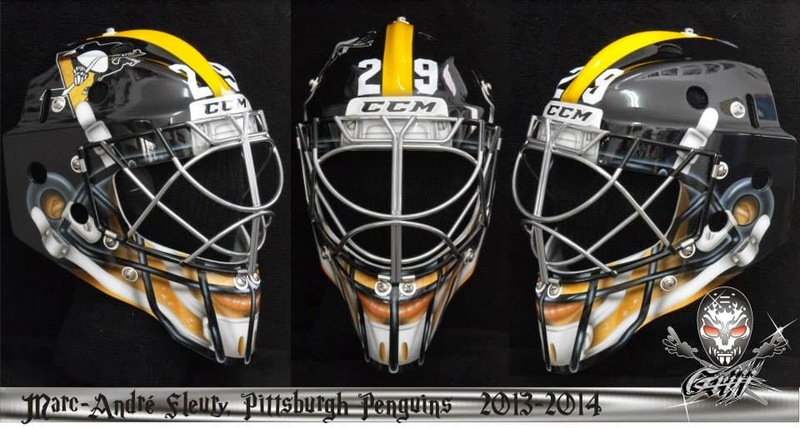 Today, Stephane Bergeron who has done mask designs for Marc-Andre Fleury in the past put this logo up on his Facebook. This will be the mask that Fleury will be wearing at the upcoming Stadium Series game against the Chicago Blackhawks which happens this Saturday at Soldier Field in Chicago, IL. Not only will Fleury be supporting his work but Corey Crawford will also be wearing a mask done by him. For more artwork from Stephane Bergeron, please check out his Griff Airbrush website.